Congratulations to Michael Foight, Digital Library and Special Collections Coordinator, on receiving The Above and Beyond Award. 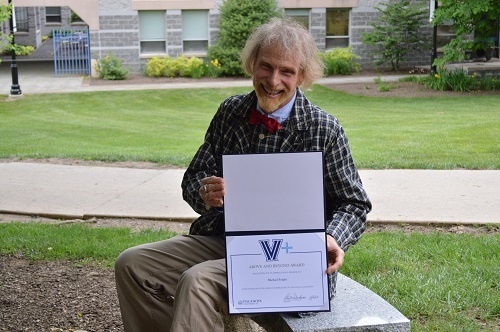 Foight was nominated for his outstanding service and chosen by The University Staff Council Selection Team to receive this distinguished honor. The Above and Beyond Award recognizes “individuals and groups who go above and beyond the routine call of duty.” Foight will be recognized at an awards luncheon hosted by University President The Rev. Peter M. Donohue, OSA, PhD, in the upcoming weeks. Best wishes, Michael, on your exceptional achievement. Congratulations Michael! What an achievement!